How do you know when it is “Time”? Choosing when it is the right time to let you pet go is one of the most difficult decisions you will make for your friend. You have provided your friend with the love and care they need in order to get to this point of their life, but now they may be depending on you to do what you can to help them die peacefully with euthanasia. The term euthanasia comes from Greek and means “easy death”. Many people hope that their pet will just one day fall asleep and die a natural death. Unfortunately, in my experience, natural death frequently does not equate to peaceful death. I understand that it can be very difficult to figure out where to draw this line. It is important to evaluate your pet’s quality of life and their symptoms, signs, and pain. If you aren’t sure when the time is right it is recommend that you schedule a quality of life consult. During this exam I can evaluate your pets condition and discuss your concerns and together we can decide if there are further treatment options that may help your pet continue to have some time and maintain a reasonable quality of life, or if euthanasia is the best option. As your pet’s caregiver, you are balancing your desire to have more time with your pet and your need to know that your pet is not suffering. Quality of life is defined by a combination of your pet’s physical and mental well-being. 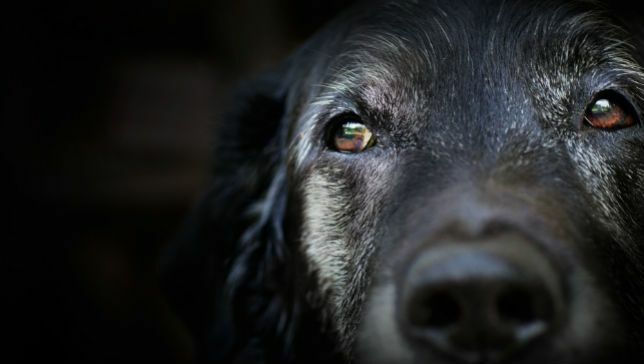 Some factors for you to consider for your pet’s general well being and end-of-life care are listed below. Observing how your animal is breathing can give you a lot of information. Does you pet have difficulty breathing- is he open-mouth breathing or using his abdomen to breathe in or out? Breathing problems can abruptly turn into an emergency and should not wait to be addressed. Panting a lot can also be a sign of pain or anxiety. Your pet’s happiness is very important and you can assess this by observing whether they wag their tail, spend time with you and your family, and enjoy your comfort and petting. Not enjoying their usual activities is a sign that they may be suffering or declining. Can your pet eat or drink? They might want to eat but be unable to do so without hand feeding or a feeding tube. If your pet is not willing to eat this is a sure sign of an often serious problem and definitely is affecting their quality of life. If a pet is incontinent they can constantly be soiled and require frequent cleanup to prevent skin infections or sores. This causes a great deal of stress to a pet as well as the owner. They might have a tumor that bleeds or pressure sores that can get infected. 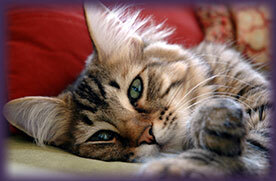 A cat that no longer grooms itself is often a sign of significant decline. Good days here and there may cause you to question your decision. But if your pet is having more bad days then good it is time to discuss euthanasia. Although this can feel selfish, your well-being is also an important consideration. There are times when it becomes important to look at the full picture and assess not only your pet, but also your health, emotional well being, time commitment, family and friends and even finances. The realities of life are just that….realities.